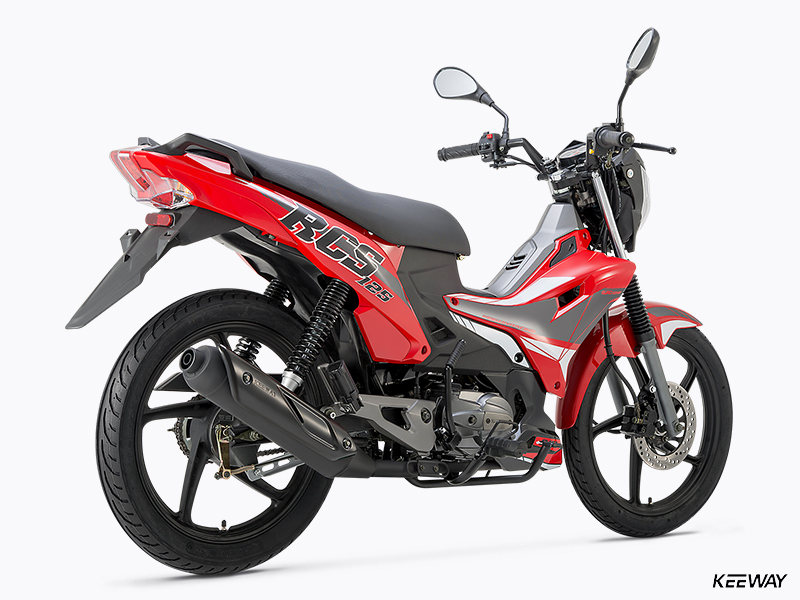 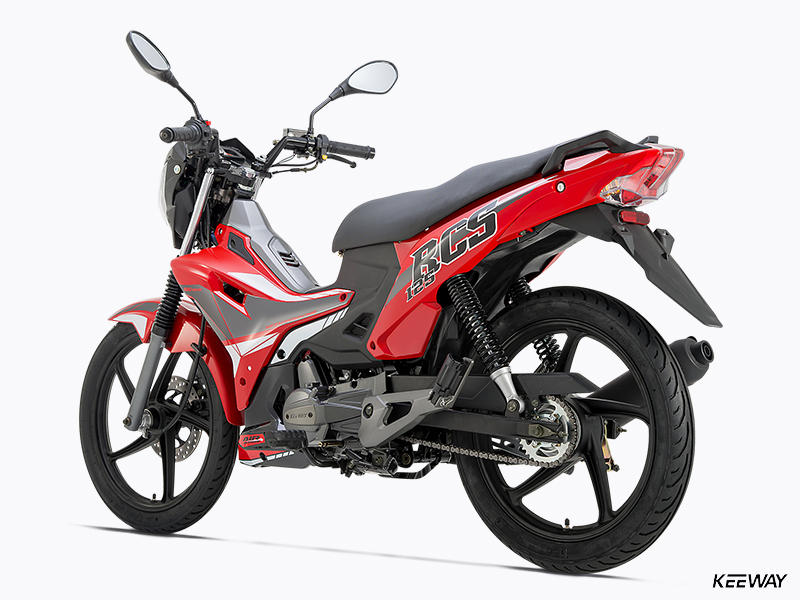 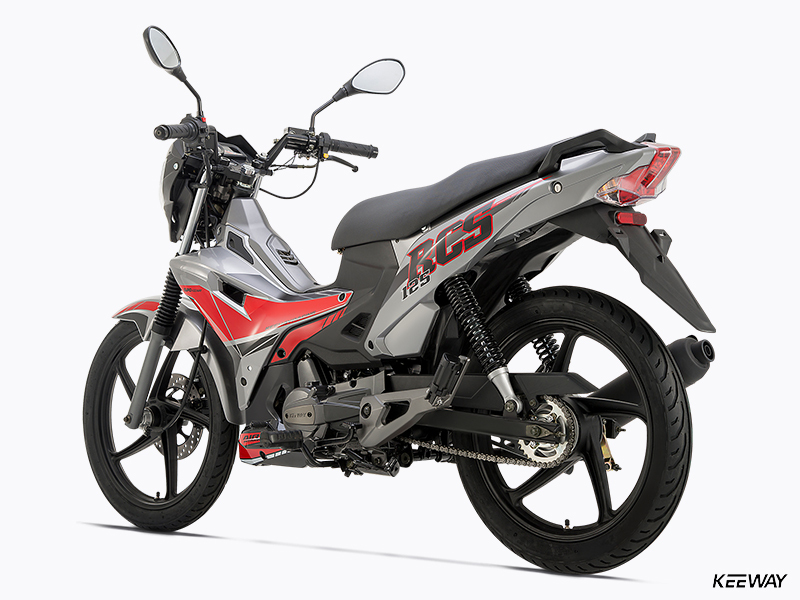 RCS 125 - Keeway Q.J. 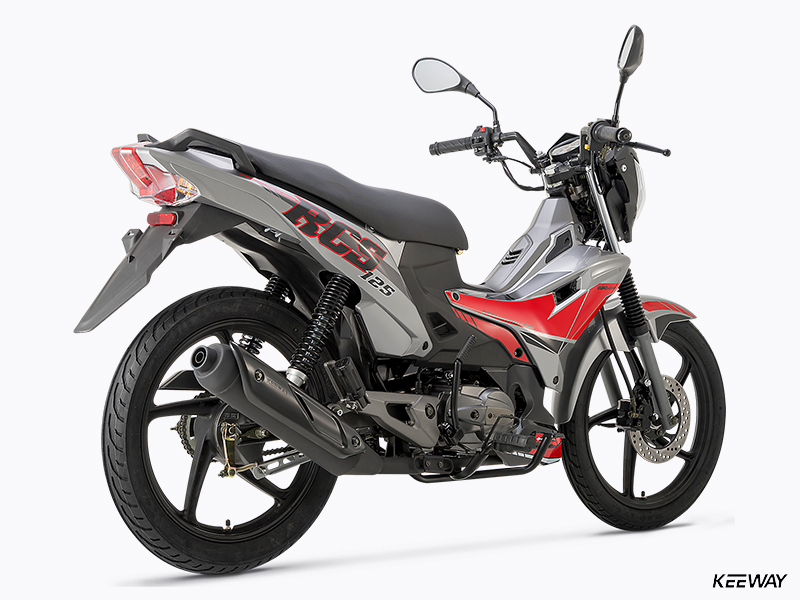 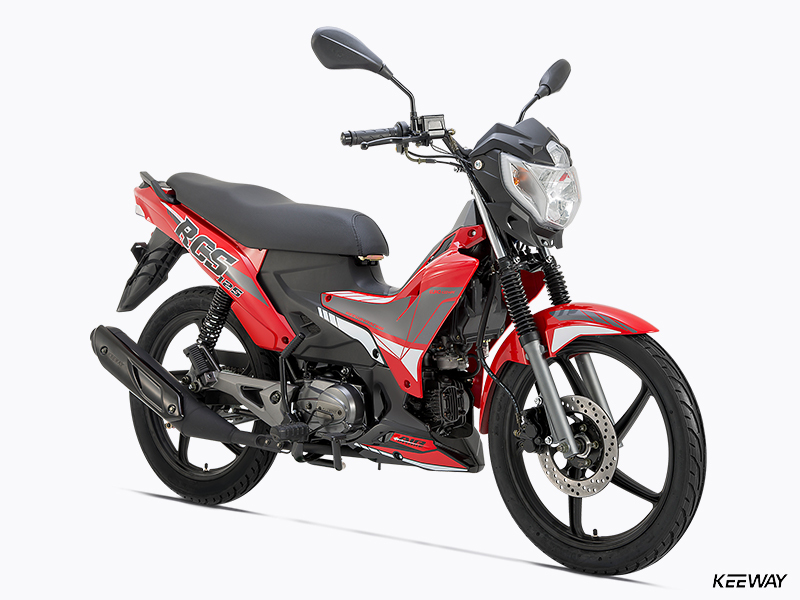 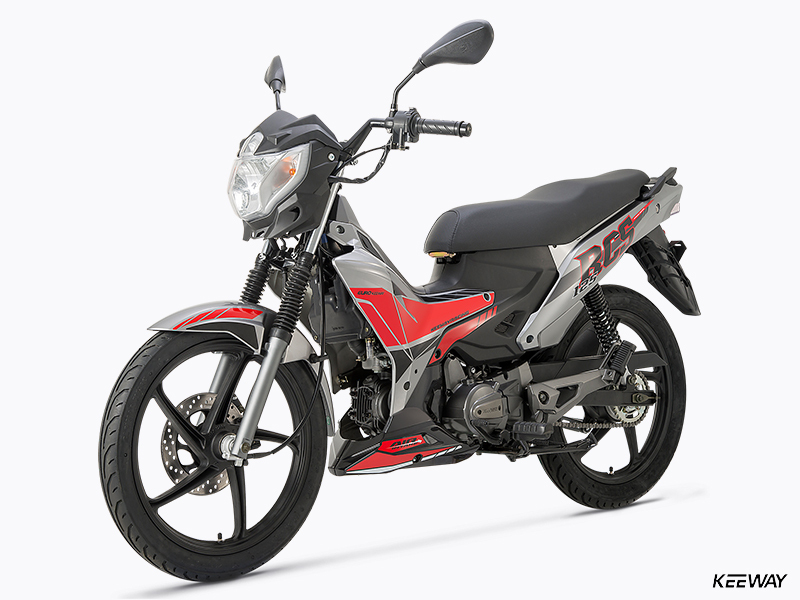 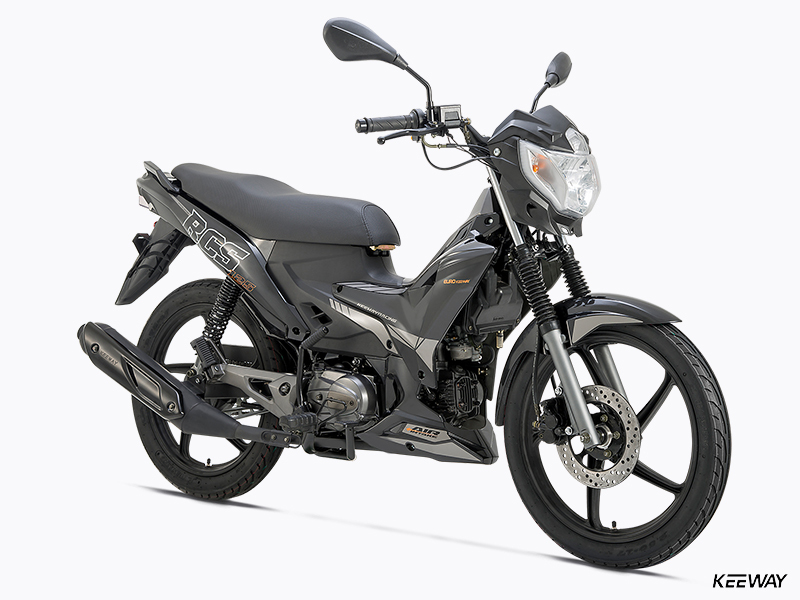 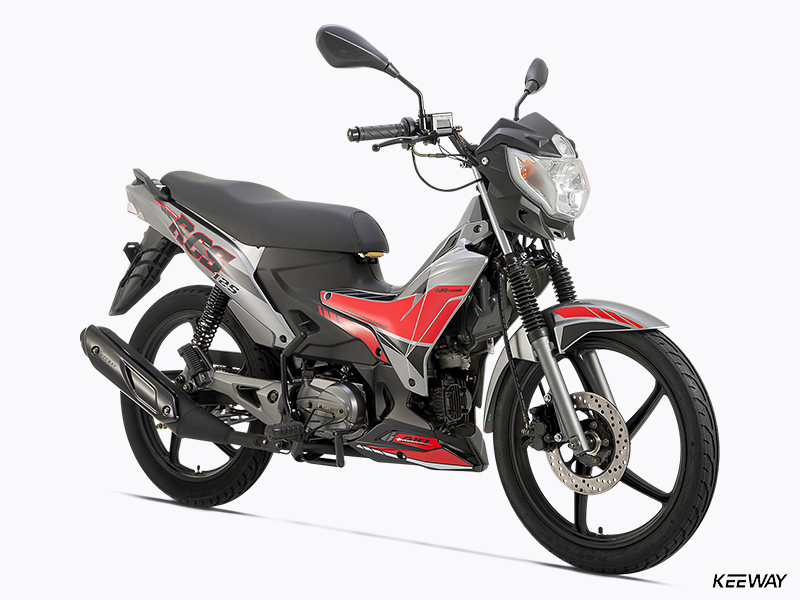 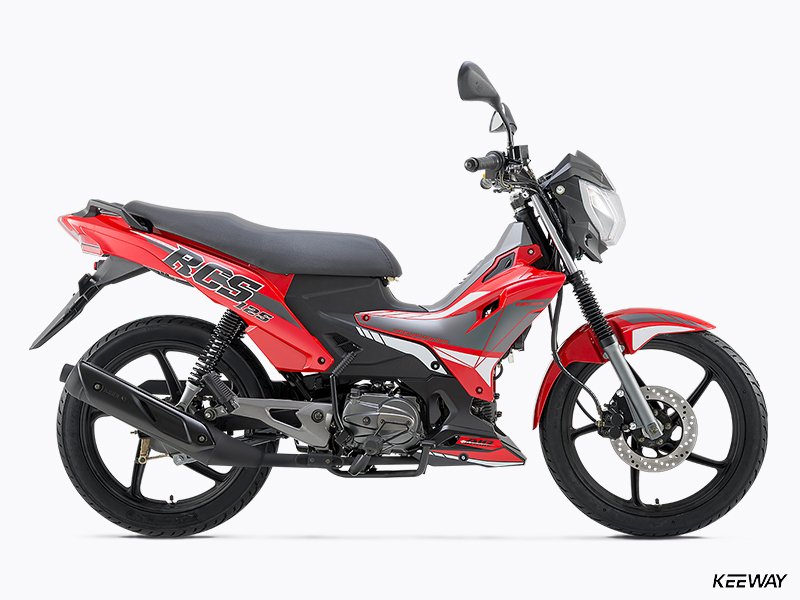 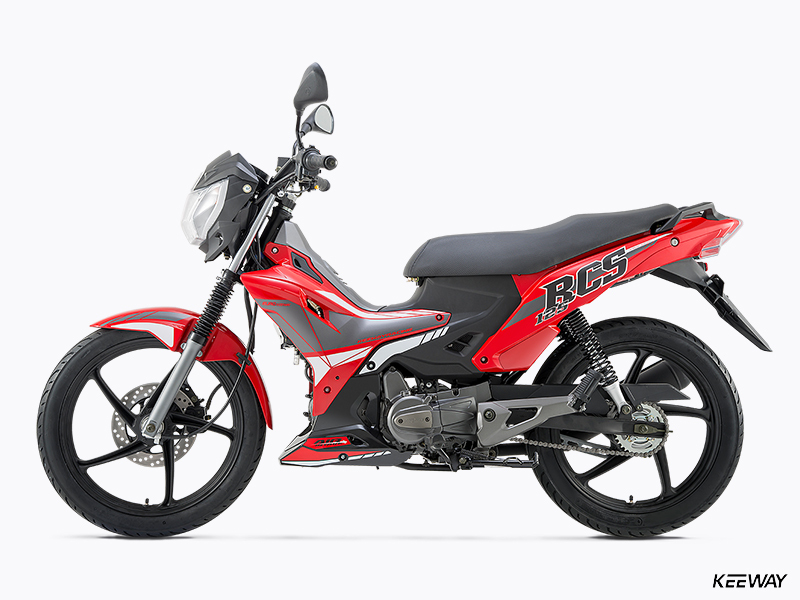 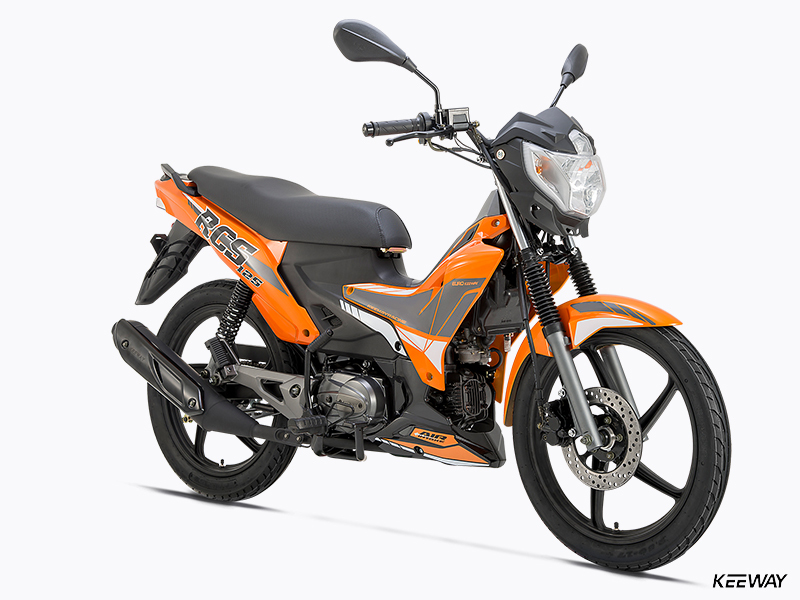 In the same general family as the Kee 125 is Keeway’s RCS 125, a 125cc Cub-class machine with a bit less swoopy styling but all the foundational technology and features as the KEE. 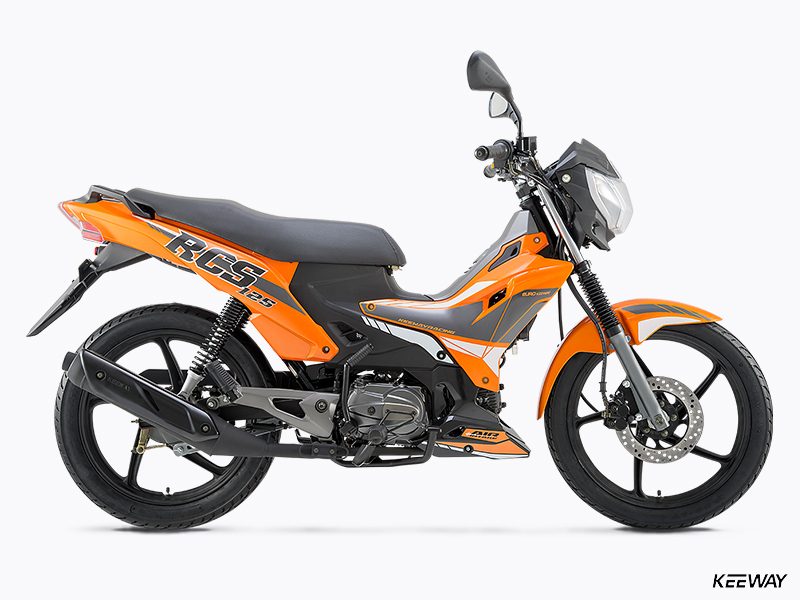 It all starts with the RCS’s air-cooled four-stroke single, which offers a wide range of smooth, torquey power. 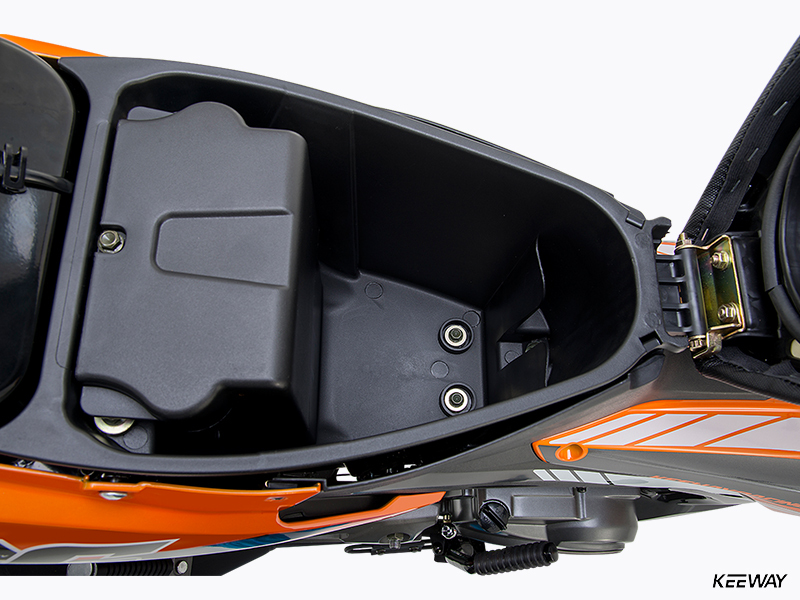 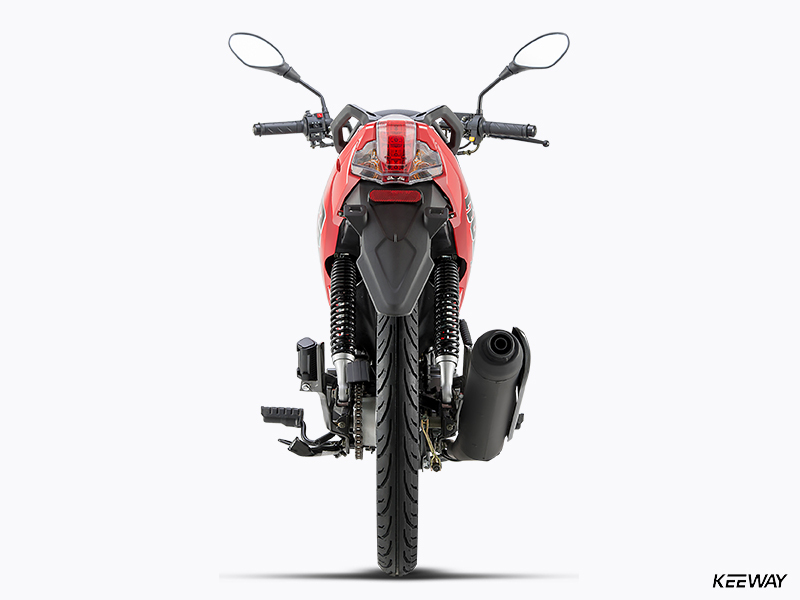 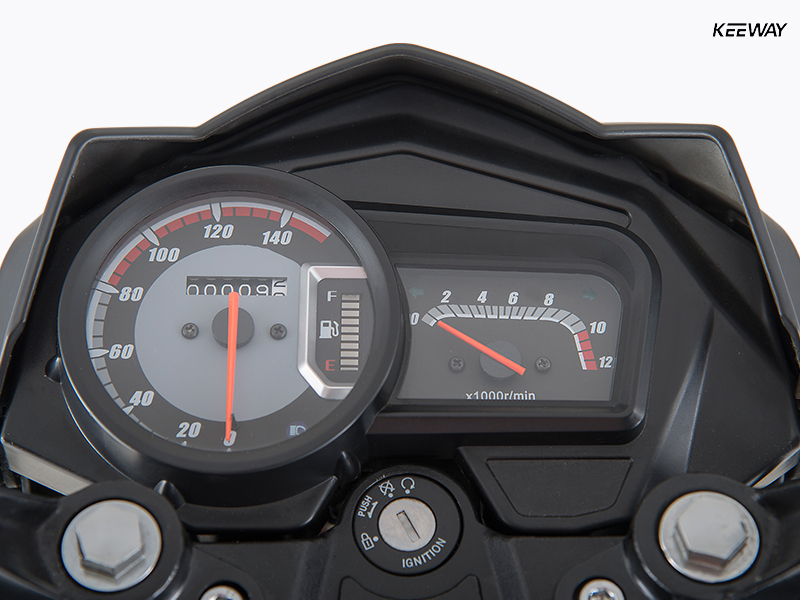 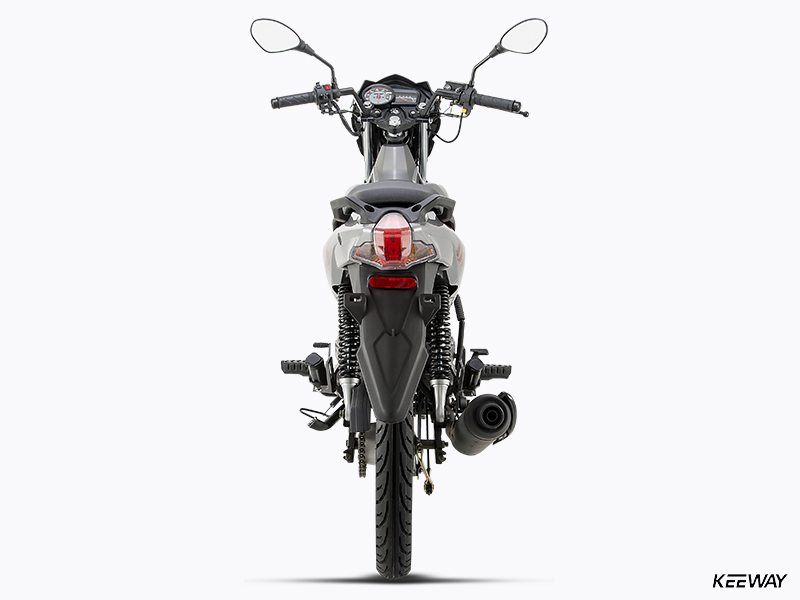 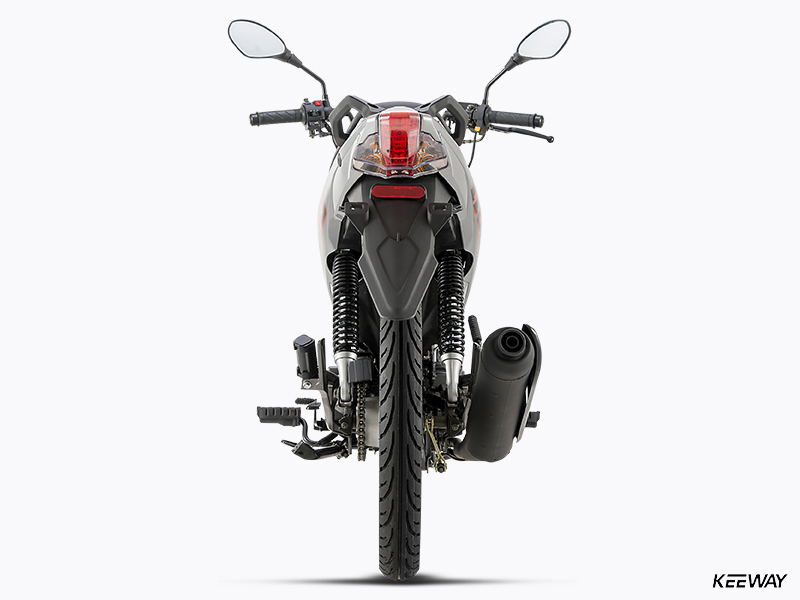 Surrounding that durable engine is the same basic chassis as the KEE, including a telescopic fork up front twin shocks in back for a smooth ride, lightweight alloy wheels, grippy tires and a disc brake up front for superb handling and stopping, and a roomy riding position that will keep rider and passenger smiling all day – or all night – long. 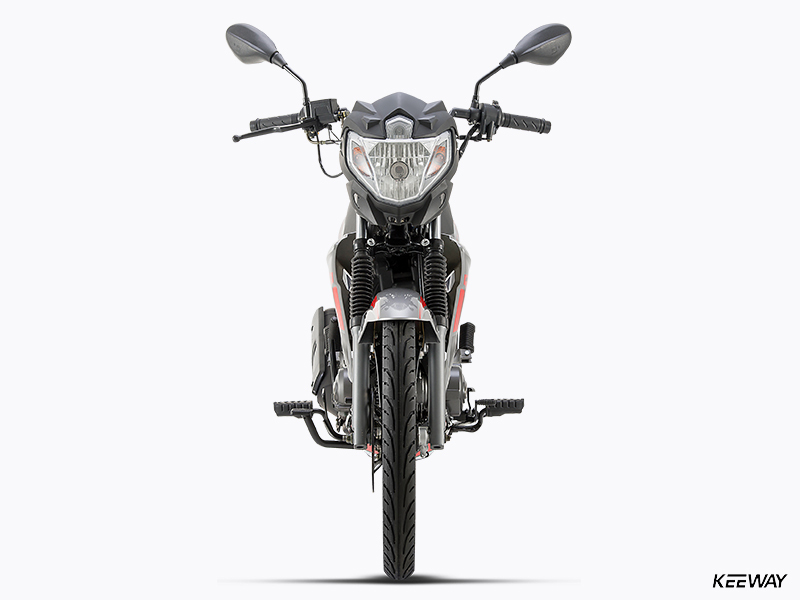 It’s a highly capable machine. 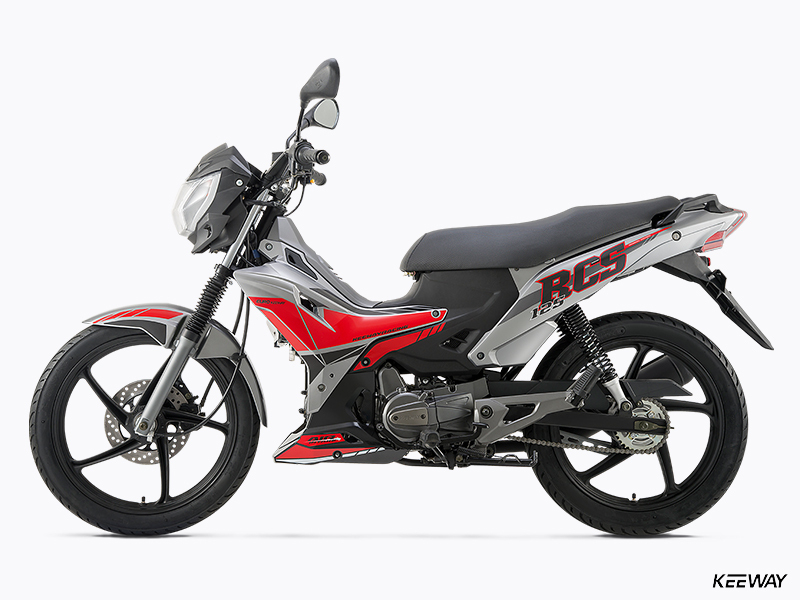 And when you consider the RCS’s amazingly affordable price, you’ll understand why this machine represents a substantial level of bang-for-the-buck value. 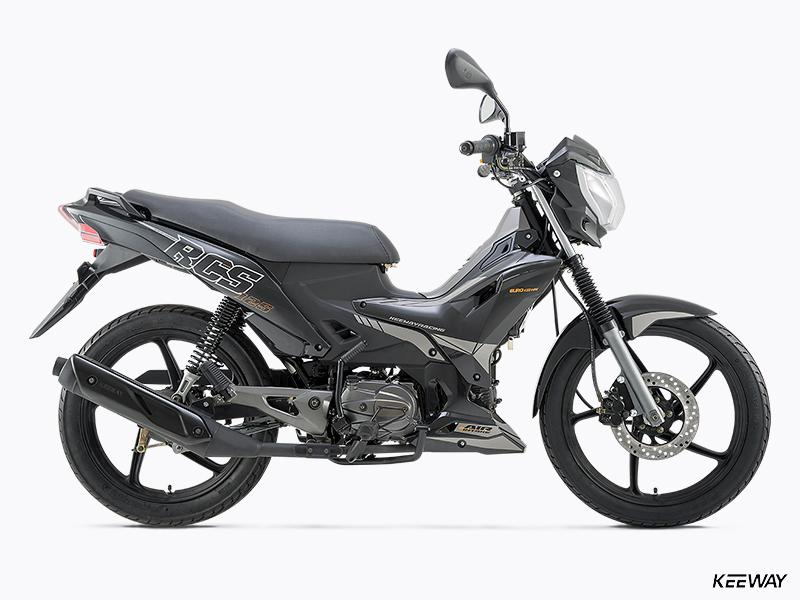 The RCS 125’s air-cooled, single-overhead-cam four-stroke engine is both reliable and powerful, and pumps out plenty of smooth, usable power – ideal for city trips or runs through the country on weekends. 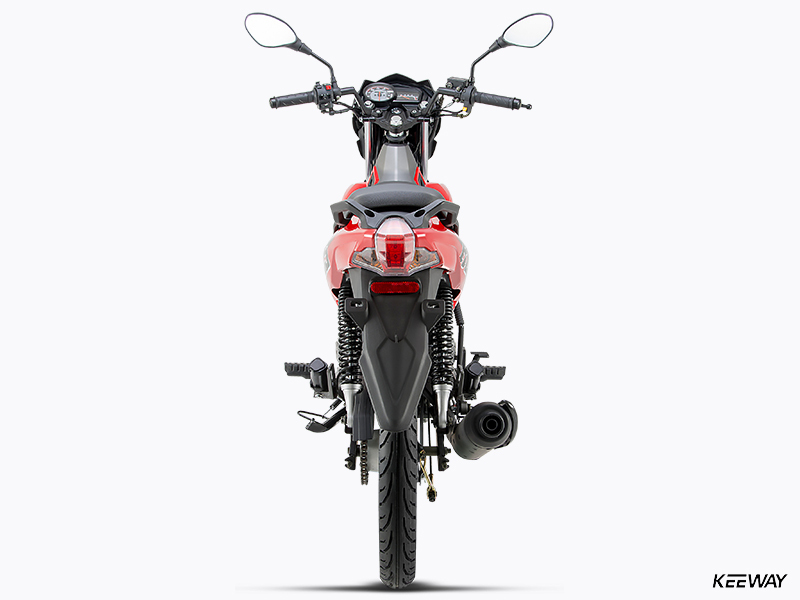 Twin shocks in back and a modern telescopic fork up front give the RCS a comfy ride, which keeps rider and passenger comfortable even on rougher city or country roads. 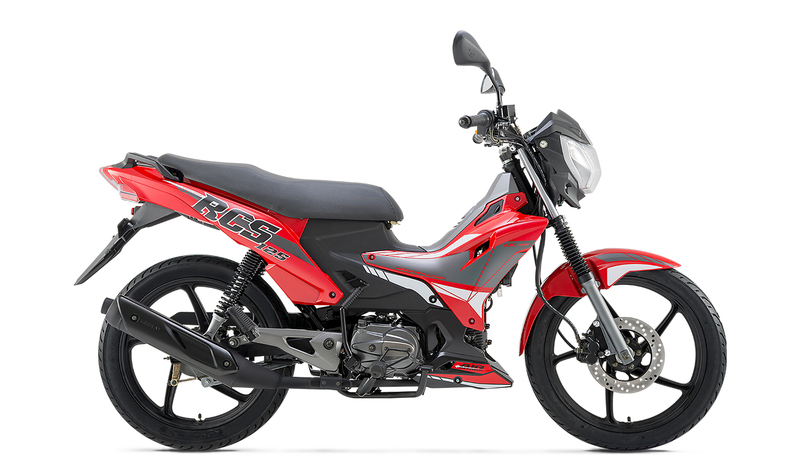 With a comfortable two-person saddle, a roomy riding position, wide set mirrors and low-vibration ride, the RCS 125 treats its riders to a high level of comfort, even on longer rides. 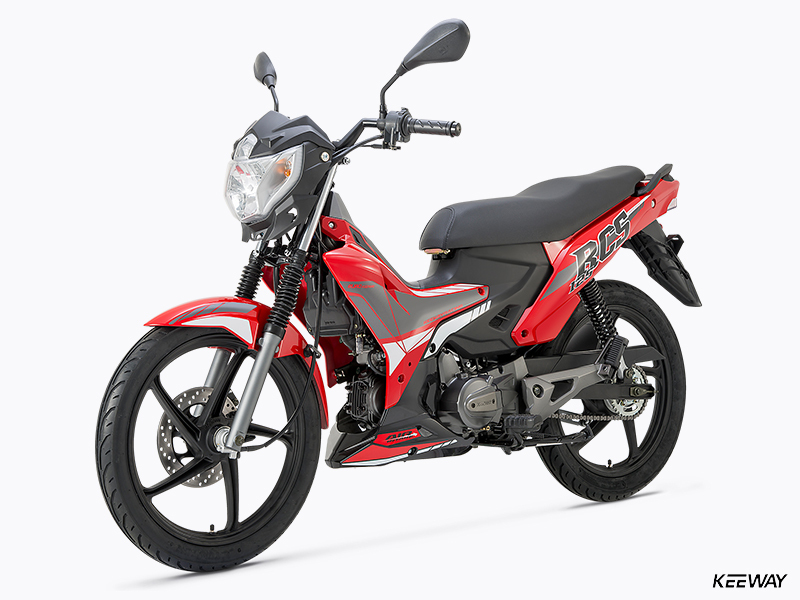 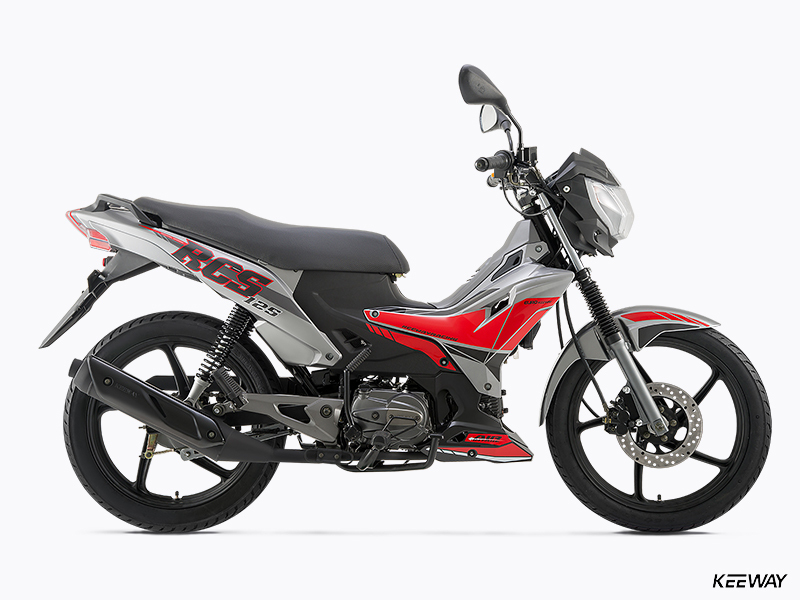 With lightweight cast-alloy wheels, grippy tires, and a disc brake up front (with a drum unit in back), the RCS 125 handles and stops amazingly well – perfect for all levels of rider skill.